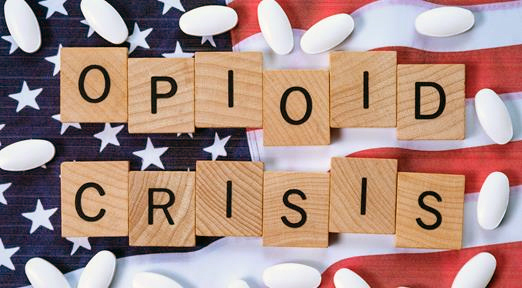 Devastating consequences of the opioid epidemic have led to more than 130 people in the United States dying every day due to opioid misuse (Opioid Overdose Crisis 2019). The Brookings Institute determined that 1 in 5 men leave the workforce early due to opioids misuse (Krueger 2017). The Center for Disease Control (CDC), has also estimated the total “economic burden” of prescription opioid misuse in the United States to be $78.5 billion a year (Curtis Florence 2016). At TRISTAR Managed Care our goals are to offer a variety of medical management services and interventions to prevent drug misuse before it occurs, mitigate risks and costs when it does occur and use employee focused post-risk management strategies to help encourage health-driven behaviors. TRISTAR Managed Care’s URAC Accredited Workers’ Compensation Utilization Management program, along with our medical management drug weaning program, helps us achieve these goals. URAC is a nationally recognized organization that sets standards for utilization review quality. TRISTAR’s application was submitted in 2017, and we were awarded accreditation in June 2018 with a perfect audit score. 1. An overall reduction of 38% in transactions and 34% in dollars spent. Non-exempt medication utilization decreased the most (46%), along with a 35% decrease in cost. Exempt medications had the largest decrease in cost (47%), along with a 29% decrease in transactions. 2. A reduction in opioid utilization of 50% and a decrease of 64% in cost! TRISTAR’s Managed Care team was able to achieve this by customizing formularies with our Pharmacy Benefit Management partners (PBMs) to limit opportunities for abuse. As an example, when a patient goes to a pharmacy for an opioid or other potentially abusive medication, TRISTAR’s pharmacy and/or medical drug nurse team will review the request to make sure the request meets evidence based guidelines. If the drug requested appears to be related to a recent injury, the request is approved; however, if it is beyond the timeframe of the acute injury TRISTAR will work with the physician to prepare the patient for drug weaning. In addition, TRISTAR also proactively monitors compound medications that are not FDA approved and work with URAC IRO accredited peer review physicians to help patients manage their treatment plans and encourages health-driven behaviors while reinforcing proven clinical approaches to healthcare. Our dedicated Drug/Medication team consists of an employee pharmacist, nurse case managers and our medical director, all of whom are committed to improve quality of care, control costs and ensure optimum outcomes. The success of our program is largely due to a streamlined, integrated real time system of in-house medical management (bill review, pharmacy, utilization review etc.) and claims management. Call TRISTAR today to see how we can help you sustain a healthy business with healthy people. Curtis Florence, PhD, Feijun Luo, PhD, Likang Xu, MD, and Chao Zhou, PhD. "The Economic Burden of Prescription Opioid Overdose, Abuse and Dependence in the United States, 2013." Med Care , 2016. Krueger, Alan. "Where Have All the Workers Gone An Inquiry into the Decline of the US Labor Force Participation Rate." Brookings Paper on Economic Activity, 2017: 20. Opioid Overdose Crisis. January 2019. https://www.drugabuse.gov/drugs-abuse/opioids/opioid-overdose-crisis (accessed March 20, 2019).